This eye opening solid wood bath tub constructed in solid Beech with a polished plywood top and bottom is made using traditional boat building techniques. 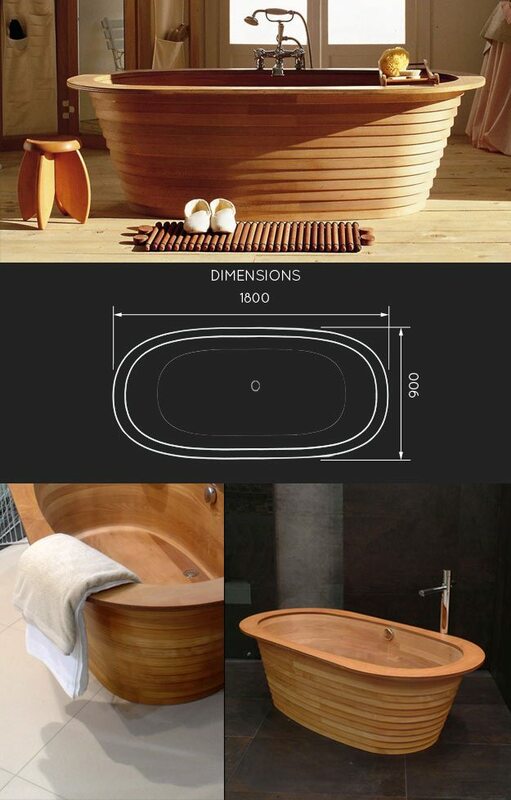 This wooden bath is made to special order. Please allow 8 weeks for delivery and is a non returnable item. * Made of solid beech. * Using boat building techniques.